Heroes and discussion in Brighton! 38 Degrees live – a lively evening of speeches by local heroes, political discussion and a debut solo performance from Rudimental’s Bridgette Amofah – comes to Brighton for the first time. Speakers include Laura Thorne who started a career as a yoga instructor after being diagnosed with MS; Jo Gooden, founder of ethical and sustainable brand RubyMoon who is helping women across the world set up businesses; and Peter Macfayden, author of Flatpack Democracy. The night will be at Brighton’s Komedia on March 28 from 6pm. Spokeswoman Ellie McKeon said: “Brighton’s first-ever 38 Degrees Live event is set to include lively, upbeat discussions about local politics and will be a chance to hear about inspiring goings on, people, issues and opportunities in the area. “Taking place at Brighton’s Komedia on March 28th from 6pm, attendees will hear from some ground-breaking individuals as the campaigning organisation draws people together to consider politics alongside arts, culture and entertainment. “Guest speaker Peter Macfadyen, author of Flatpack Democracy, will kick off the evening telling the story of how a small group of people in Somerset transformed their council into being entirely independently led. Attendees will then discuss in groups how Peter’s lessons could work here in Brighton. “Jo Godden, winner of a 2016 People. Environment. Achievement. (PEA) Award, will share her experiences of running an ethical and sustainable company, RubyMoon, whilst helping women set up and grow businesses across the globe. “Finally, Peter Deadman, co-founder of Infinity Foods & Brighton Natural Health Centre, will warn that however much money is pumped into the NHS, the dangers of an ageing population and the rise in chronic non-infectious disease, will overwhelm all attempts to treat our way out the crisis. “According to Peter, the only logical step is a real commitment to encouraging people to take more responsibility for their own health through sensible diets, appropriate exercise, mindfulness and more. Tickets for 38 Degrees Live in Brighton are £3, include a complimentary drink. 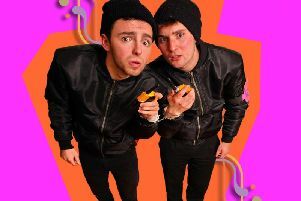 They can be booked at https://www.eventbrite.co.uk/e/38-degrees-live-brighton-tickets-32433157447.